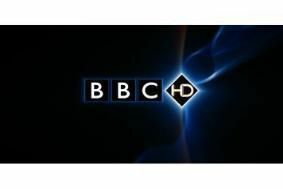 BBC confirms use of variable bit-rate encoding on HD channel | What Hi-Fi? Last year the Beeb introduced new high-definition encoders which cut the broadcast bit-rate by 40 per cent, down from 16Mbit/sec to 9.7Mbit/sec. This brought howls of protest from some viewers, who complained to the BBC Trust and formed the BBC HD Quality Campaign Group. Initially the BBC admitted there were teething problems with the new encoders. Subsequently, after further tests were carried out, it claimed that HD picture quality had not been compromised, saying that no technical fault could be found. But now, following a meeting in April between the HD Quality Campaign Group, the Head of BBC HD, Danielle Nagler, and Head of Technology, Andy Quested, the Beeb has switched to variable bit-rate (VBR) encoding. (You can read more about the visit in this BBC blog). What does this mean? Well basically, it's a process which maintains a similar average bit-rate despite being able to allocate more bandwidth for more demanding scenes – such as fast-action sports like football – when required. "The BBC is pleased that viewers feel that this set of changes has enhanced their experience of HD," says a Corporation spokeswoman. Critics of the previous encoding system say the new VBR system has resulted in a noticeable improvement in picture quality, particularly during recent FIFA World Cup 2010 broadcasts. Have you noticed a difference? Let us know what you think in the Comments box below.